Paw Patrol Everest's Rescue Snowmobile Just $21.93! Down From $50! You are here: Home / Great Deals / Amazon Deals / Paw Patrol Everest’s Rescue Snowmobile Just $21.93! Down From $50! Paw Patrol Everest’s Rescue Snowmobile Just $21.93! Down From $50! 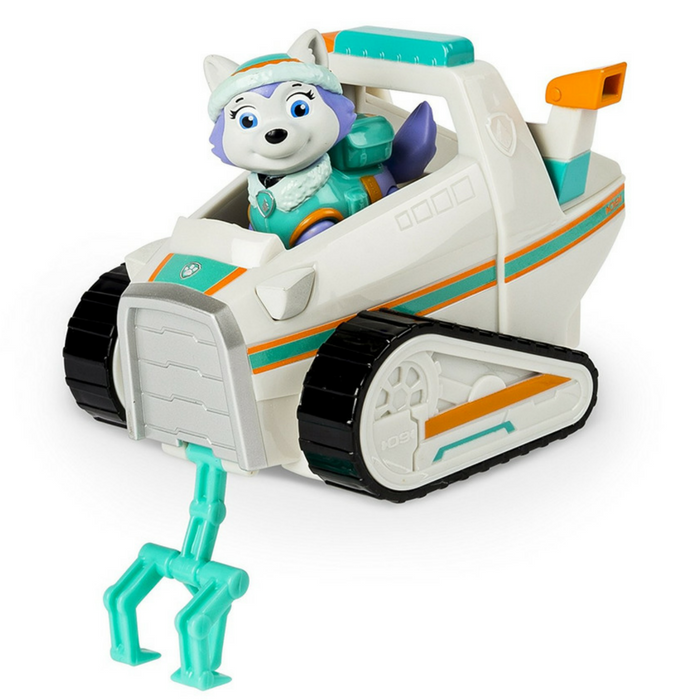 Score this Paw Patrol Everest’s Rescue Snowmobile at Amazon for just $21.93 down from $49.99 PLUS FREE shipping with Amazon Prime or for orders over $25! Ice or snow, she’s ready to go! Everest saves the day with her Snow Plow moving claws to clear any road! This pup and vehicle combination is loaded with Adventure Bay action! Everest rides inside the Snow Plow pushing through the snow with no problem at all. With real working treads, Everest’s Snow Plow gets her where she needs to go! Plow big with the rest of the PAW Patrol by collecting the entire line of PAW Patrol vehicles. Together, your child’s imagination will be lit up with pup inspired rescue missions full of friendship, teamwork and bravery. If danger is near just give a yelp, the PAW Patrol is here to help! No job is too big, no pup too small. Dig up an adventure in the Snow Blower with Everest! Everest saves the day with her Snow Plow with moving claws on the front to clear the road! Everest rides inside the Snow Plow pushing through the snow with no problem at all. With real working treads, Everest’s Snow Plow Vehicle gets her where she needs to go! Plow big with the rest of the Paw Patrol by collecting the entire line of Paw Patrol vehicles. The Snowmobile with Everest is for kids ages 3+. No batteries required.